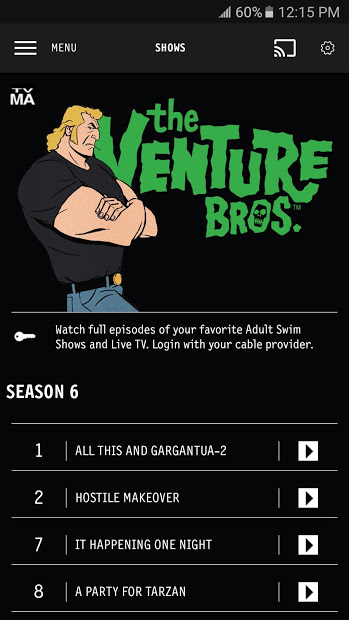 Adult Swim Cartoons anywhere, anytime! 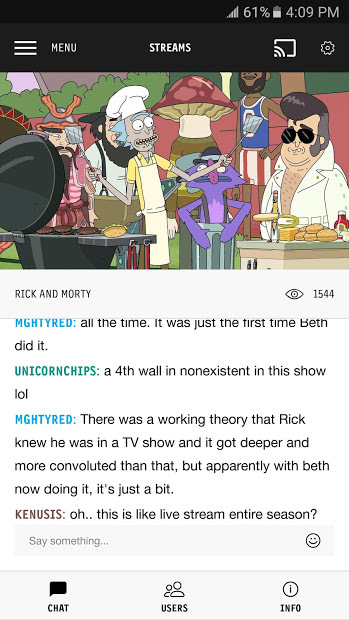 You may know Adult Swim from Cartoon Network or because their world famous adventures of Rick & Morty, but they have been in the scene for a long time with other shows and cartoons, but with the same kind of ‘acid’ humor. With this app, you can experience Adult Swim anyplace, anytime. Feast on 24/7 marathons of their most popular shows like Rick & Morty, The Venture Bros and more. 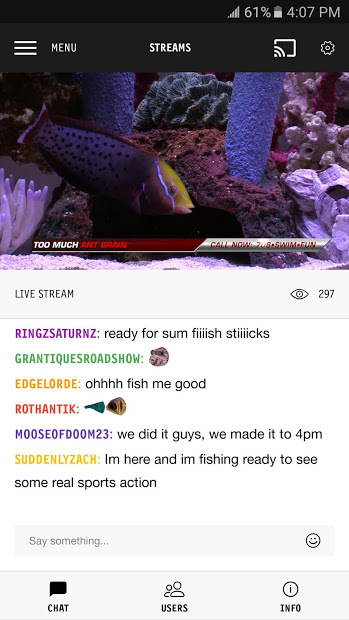 You can also chat along with other viewers while watching the Live Stream of daily, interactive programs. Cast from your Android device to another screen via Chromecast, to enjoy on a bigger screen. Note: Watch out, this app is not recommended for kids, even if its about cartoons.